Fastlane happens in just a few hours, so I’m back with a few predictions for tonight’s big show. I’m looking forward to the show, but not overwhelmingly so. It really does feel like just a stepping stone on the way to Wrestlemania. I realize there are title matches and a number one contender match for Wrestlemania, but pretty much every match announced so far feels a little like a small piece of a bigger story rather than a major turning point. Except maybe the Jericho/Styles match. 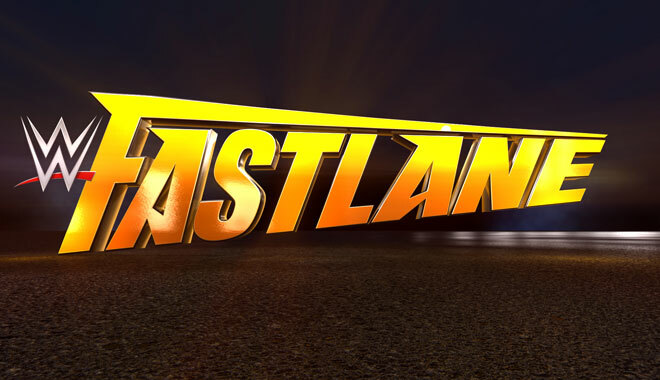 I’m not sure if they’ll really continue that past Fastlane. Some of the matches feel a little difficult to predict, but I’ll give it my best shot. This will probably end up simply being what I’d like to see happen rather than what I think they’ll do. So here are my predictions. I think Kalisto will keep the title. Del Rio doesn’t really need it and I think they could do some really fun things with the title if Kalisto holds on to it. I’ve mentioned in some of my show reviews that I’d like to see the US title make some appearances on Main Event and Superstars. The wrestlers on those shows are putting on good matches which tend to be a little longer than the mid-to-lower card matches on the main shows. I think if they make the US title for guys like that, then it would make things a lot more interesting for those shows and for the US title.Obviously it would still be featured on Smackdown and Raw (because I don’t think a lot of people watch Main Event or Superstars), but it would be kind of like a third-tier championship, which it really is at this point anyway. I don’t think Del Rio needs to be on those shows though, so I don’t think he should win the title at the Fastlane pre-show. This will be exciting, closely contested, and definitely the match of the night. These two have already put on two good matches, but they’ve done a good job of increasing the emotion for this third match. They’ve also done a good job of not giving everything away in their first two matches. They both still have a lot to show everyone as far as how well they can work together. I’m not sure where either of them go after this match. I’d like to see them shake hands after this match is over and move on to whatever they’ll be doing at Wrestlemania. I don’t think they really need to continue their feud until then, but we’ll see. In this match though, I think AJ needs the win. I get that Bray has been talking about beating the “titans” of the WWE, but just having a match with three of the literally biggest guys in the WWE locker room seems like a metaphor that’s too on-the-nose for my tastes. Yeah, they’re big, but when Bray was talking about the old gods and titans I thought he was referring to the biggest names, not the beefiest guys. I got excited for a big push for Bray, but this match doesn’t really seem all that interesting to me. I’m not usually a fan of randomly thrown-together teams. Maybe this is just a means to an end though. Maybe this is just to reestablish the danger of the Wyatt Family after Lesnar single-handedly destroyed their plans at the Royal Rumble. I keep hoping they’ll push Bray to title contention, but I keep getting disappointed. More on that later though. In this match, I don’t really see the Wyatt Family losing. I think these guys will try to steal the show, and if Jericho vs Styles wasn’t on the card I think they would do it. Individually, both of these guys go out there every night and leave it all in the ring, so together they will put on another great, great match. I think Ziggler is going to get beat up a lot, but he’s going to stay in it and come very, very close to winning a few times. In the end though, Owens will come away with the win. I think it might actually be interesting if Owens loses though. A loss for Owens after just getting the title back could send him over the edge. A violent, crazy Owens could be a good thing. I don’t really see them doing that though. I think this will easily be the better of the two women’s matches on the show. The story is more interesting to me, and the matches they’ve all been having have been better than anything either Charlotte or Brie have done lately. Naomi too has been impressive lately. The match she had with Sasha on the February 11th episode of Smackdown was very good. She showed that she shouldn’t be overlooked in the division. I think she’ll do the same thing in this match. I like the relationship between Sasha and Becky as well. Both characters are being developed very well. Sasha wants to be on her own so she’s frustrated that she being forced to rely on Becky for help, and Becky has been turned on by everyone she called a friend, but she’s finally found a solid working relationship with someone who very clearly states that she isn’t her friend. I think that’s a really great story that works perfectly for the progression their characters have had over the last few months. I don’t really see how Sasha and Becky can lose here. This one is a little difficult for me. My initial thought is that Charlotte will clearly win this match. But then I think about it a little and wonder if Brie’s story might push her over the top here. Charlotte took the title from Brie’s sister who is now injured. Brie also has sympathy because of Daniel Bryan’s recent retirement. Could those two things propel her to victory? Maybe. But then I think about Brie’s record over the last few months. She’s lost a lot. She was basically a prop for the Charlotte/Becky Lynch feud. Now we’re supposed to believe she can take the title from Charlotte? Why? She beat Charlotte on RAW a few weeks ago, but it was a surprise win, and only one win among a string of losses. Also, I don’t think they’ve built much interest in this match. It just doesn’t feel like Brie will get it done here. They could really go a lot of different ways with this match. Building up the friend versus friend angle makes me think that either Reigns or Ambrose will win. The easy pick is probably Reigns. That’s where months of story development have been pointing. I don’t know though. The Authority obviously doesn’t want Reigns to ever get the title again. They’ve stacked the deck a lot recently. They’ve also used Lesnar as a pawn. They forced him to compete in the Royal Rumble as added insurance against Reigns winning, but they put him in a spot where he wasn’t as likely to win. Triple H doesn’t want to face Lesnar. Why would he? So who does The Authority want to win at Fastlane? Dean Ambrose. That seems obvious to me. In Triple H’s mind, Ambrose is a much easier target than either Lesnar or Reigns. After all, Ambrose was the last guy eliminated by Triple H at the Royal Rumble. He took care of Reigns first because he didn’t want to face Reigns one on one. Ambrose is in the triple threat because The Authority hopes that Reigns and Lesnar will cancel each other out and Ambrose will win as the wild card. That’s what I’d like to see happen. That would mean that The Authority would feel like they’d won, but it would come back to bite them when Ambrose actually beats Triple H for the title at Wrestlemania. I think that would be the most interesting scenario. That’s what I want. In addition to Ambrose winning and going on to Wrestlemania, I’d like to see Bray Wyatt be Ambrose’s first challenger. When Bray talks of titans I think of the most important guys in the company. Who’s more important than the WWE World Heavyweight champ? I think a title feud between Bray and Dean could be amazing. So there they are, my predictions. I’m actually not very confident in all of them actually happening, but it’s what I’d like to see. Sure, there are no title changes in my prediction, but I think that’s okay. Wrestlemania is coming up, and I think having champions established for longer is a good thing for that show.